of body, mind and spirit"
Join Jessie Chapman for this inspirational all-inclusive 5 night Radiance Yoga Hike Restore Retreat in New Zealand's stunning South Island staying in a lovely mountain views lodge near Wanaka with dedicated morning and afternoon yoga practice, stunning daily hikes and nature walks, delicious vegetarian meals, meditation and evening yoga nidra. 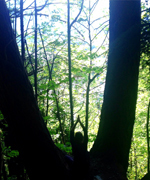 If you love yoga, walking in fresh mountain air and relaxing in beautiful natural surrounds then this retreat is for you. Each morning begins with an inspirational Radiance Yoga class followed by a hearty buffet breakfast. During the day choose to hike one of the area's stunning trails or simply relax at our mountain views lodge. In the afternoons we gather for a restoration yoga class followed by a delicious dinner and a relaxing yoga nidra practice before bed. Not included: Airfares and travel insurance. *Massage is available to book in-house during your retreat. More about the yoga: Jessie’s Radiance Yoga Classes combine gentle warm up sequences with Vinyasa yoga (moving through the postures with breath awareness) plus holding in postures longer to build strength, stability and alignment. Many variations of the postures are given so people can practice according to their experience, physical condition and individual needs. Yoga props are often used to go deeper and to experience complete relaxation and renewal - especially in the Afternoon Restoration Yoga Classes where the focus is on deep rest, support and relaxation. 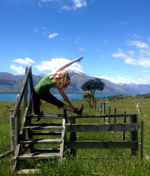 The Yoga classes are taught by Jessie Chapman and are suitable for the complete beginner to the long term practitioner. For this Radiance Retreat Lee will be assisting Jessie in the yoga classes to give adjustments and individual attention so everyone is will cared for. Click here to read more about Jessie, Lee and the yoga. More about the hiking: The area is full of stunning lakes, National Parks, mountains and glaciers and each day on retreat we arrange transport to the chosen hike of the day. 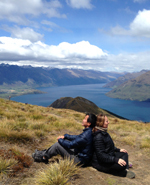 Hiking - or 'tramping' as they say in New Zealand - is about the journey allowing time to enjoy the views; to rest and soak in all the beautiful sights and sounds. The trails are well trodden and marked out and average approximately 7-15 km of varying elevation. 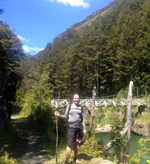 Some hikes do include stronger up and down hill hiking so bring walking poles for support if needed. All transport to and from the walking trails is included along with a picnic to carry in your daypack and the trail map. Whilst most people enjoy our stunning daily hikes, you may prefer to simply rest at the lovely mountain views lodge. 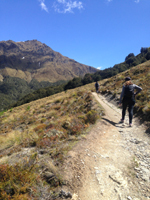 More hiking information and a list of 'what to bring' is emailed to you upon registering. Feel free to email with any questions. More about the location & accommodation: We stay in a a picturesque ski club style lodge 10 minutes outside Wanaka on New Zealand's stunning South Island. The lodge has expansive mountain views, lovely gardens and indoor and outdoor areas to relax in. Lodge facilities include a laundry and kitchen for guest use as well as free wireless internet connection. All rooms share the 2 large communual bathrooms. 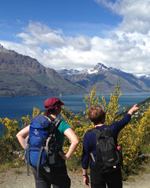 There will be oppurtunities to explore Wanaka town and to pick up any essentials. Massage is available to book in-house. More about our meals: Our retreat meals are lovingly prepared using fresh local ingredients and are all vegetairan, abundant, delicious and nourishing. Breakfast includes a fresh morning juice. Breakfast and dinners are enjoyed in-house whilst our picnic lunches are prepared for us to carry in our day packs or to enjoy at the lodge. Special dietry requests can be catered for. All drinking water, teas, coffees and fruits are included and available throughout the retreat. All rooms (except the Couple's Room) share the 2 large communual bathrooms with 3 showers & 2 toilets per bathroom. If booking the Twin Share Bunk Bed Room each person has their own set of bunks (top and bottom bed). If you'd like to share with more than 2 people per room please email us. Arrival Day: On our first day the group pick up is at 12 midday in Queenstown Centre or 12.15pm at Queenstown Airport and arrival at the retreat is at 2 pm. Upon arrival there is time to settle into your room, relax and enjoy some teas and fruits. At 3.30 pm we enjoy a gentle afternoon stroll to stretch our legs and see the local area before our first afternoon relaxation yoga class and group welcome circle at 5 pm followed by dinner at 7 pm. Departure Day: On the last day of the retreat yoga will be from 6.30 - 8 am with our farewell circle the breakfast. 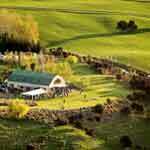 We will depart the retreat at 9 am to arrive at Queenstown Airport and Queenstown Centre by 11 am. 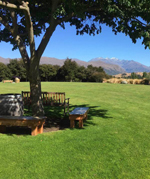 Extra nights accommodation: If you require extra nights accommodation before or after the retreat we suggest staying in Queenstown where there is a wide selection of hotels, lodges, backpackers and Airbnb accommdoations for all budgets. 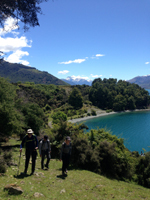 There's also a wide selection of lovely walks in and around Queenstown. How to get there: Many airlines fly into Queenstown International Airport. Once at the airport or in Queenstown our group pick up transfers you to the retreat, which is a scenic 1 hour and 45 minute drive to Wanaka. More detailed information about our group pick-up and retreat information is emailed upon registration or feel free to email us with any questions. "Thank you Jessie and team. My purposes in attending this retreat have been met - and more! I leave feeling healthy, flexible, refreshed and relaxed." "This is one of the best value for money self investments you can make. The yoga, the food, the facilitators. Jessie creates a beautiful space to just love being. Go ahead and book. It really is that good. I have done a Radiance Retreat 3 years in a row now." "You have given me back years of my life. I feel energized and can cope with the challenges of my job and commitments more easily. I am waking each morning refreshed and I can’t wait to get into what the day has for me. Thankyou." "Sunshine, good food, a beautiful location, and hours of yoga every day - it sounded to good to be true before I went and the reality was even better. I have returned home with a lightness of spirit. Radiance is certainly what it's been about for me, and each day since I have returned home I have given thanks that I was able to spend such a week exploring my mind, body and sprit in such beautiful surroundings, with the truly exceptional group of people.An experience definitely to be repeated." "A special opportunity to experience healing, hope, joy and love. Oh! and my oldish body moves in a different way now. I quite like this wonderful feeling and this new me! "I came to this retreat with some high hopes and expectations and can honestly say the retreat surpassed my expectations. I can't recommend this retreat highly enough. Whether you just need to relax from a stressed life, you are a beginner, or you are someone who wants to delve deeper into your yoga, you will be catered for. 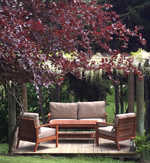 Thank you to Jessie and the facilitators for creating such a special space"
"Jessie’s retreat was invigorating, relaxing and intensely refreshing. It enabled me to switch off from everyday stressors of life to focus on my own health and wellbeing. The yoga sessions, food and friendships formed on the retreat have provided some wonderful memories and the practical strategies learnt on the retreat will benefit me for a long time to come. Thank you to Jessie and the facilitators for creating such an amazing experience." 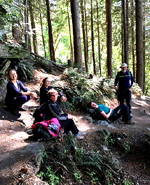 "Jessie and the Radiance facilitators are an amazing group of people who have the knowledge, care and love to support anyone on their retreat journey. My expectations were totally blown away and I have now found greater inner peace and a calmness which I know will continue, as I now have the increased knowledge and passion necessary to carry this into my daily existence. I am eternally grateful to Jessie and her faciliators for helping me to get back onto my true path and feel so much lighter and happier." "A beautiful location with inspiring and heartfelt tuition. An experience to be treasured and aspire to be repeated." "The retreat was absolutely magic. I met some amazing people who were all very inspiring and wonderful company! I loved the yoga and was extremely grateful for all the extra help provided by the yoga assistants in each session. The meditation was relaxing and the food was extremely tasty! I am so happy I went on this retreat!!! It was the perfect start to the year." "Thank you to the team of beautiful souls who came together to make this retreat happen. A truly worthwhile experience; refreshing, inspiring, joyful, opening.....I came away with a clearer mind, healthier body and happier heart." " As a total beginner, I could have easily been left behind. Instead, I found myself nurtured and supported every step of the way. Jessie is a fantastic teacher and the extra assistance from the facilitators made such a difference to my experience. I would highly recommend this retreat to anyone who is new to yoga. I now feel like I have a great foundation for my future yoga practice'"
"Nowhere to go and nothing to do - Jessie shows you how to just BE. Her serenity is infectious!" "With Jessie you take a journey, learning the practice of yoga in a supported environment, cleansing your body with ease, and remembering that with balance in your life you become the person you are." "I cannot thank the team of Radiance Retreats enough for the whole experience of the retreat. Yoga has changed my life. I feel so in tune with my body and mind more than ever. You introduced me to a diverse selection of food that was delicious. I have continued eating organic food and have not gone back to old habbits. I have had comments from people saying how well I look which is an extra bonus because I feel terrific. I practise yoga every morning using Jessie's dvd core strength and my back which was injured is nearly back to 100%. Thank you all for your warmth and wisdom."